Janez Brajkovic (Astana) has been declared the largely symbolic winner of stage three of the Tour of Catalonia, reduced by 55 kilometres after heavy snowfall made the ascent of the two main climbs of the day, the Cantó and the Port Aine, impossible. However, given the decision to bring the finish forward was taken when 12 riders in a day-long break, including Brajkovic, were a mere 10 kilometres from the new ‘end’ of the stage and the rest of the pack were ten minutes further down, times from today’s stage will not count for the overall. The winner of the first two stages, Michael Albasini (GreenEdge) therefore remains the leader after what was supposed to be the Tour of Catalonia’s most decisive leg – and which ended up being an almost completely irrelevant, freezing cold, day-long ride through snow and sleet for most of the pack. 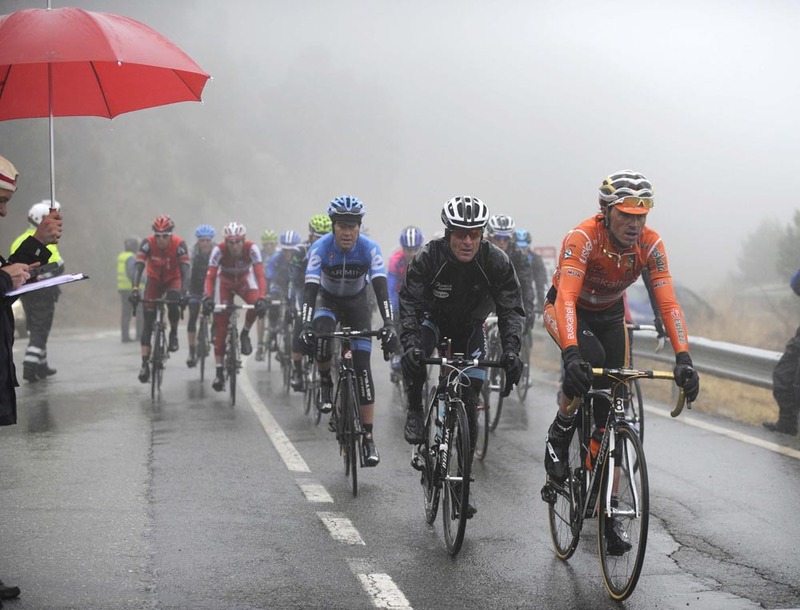 At least 20 riders abandoned Catalonia’s only Pyrenean stage this year, amongst them Andy Schleck (RadioShack-Nissan), Bradley Wiggins and Richie Porte (Sky) and Tejay Van Garderen (BMC), as a result of the appalling weather conditions. Contrary to early race radio reports other top names like Rigoberto Uran (Sky), made it through on one of the toughest days of racing this season. Given the circumstances, it is not clear whether those who abandoned will be allowed to start on Thursday, a 199 kilometre hilly stage from Tremp to Ascó, which takes the riders out of the Pyrenees and back down towards the coast. Stage three had started cold and with some rainfall, but as the race headed inland towards the Pyrenees the rain gave way to snow. Initially due to finish at a ski station, the Port Ainé, as the weather grew so bad, the snow piled up and temperatures plummeted the commissaires slashed the last two Hors Category climbs off the program. The breakaway ahead suddenly found themselves disputing the victory, but although Brajkovic will go down in the record books as the stage winner, at the end of the day the teams’ biggest concern was getting their riders off the increasingly dangerous roads and into the relative safety of their team hotels.